Race begins: 7:00am (rain or shine). FREE parking available near the race pavilion. Awards will be given to runners within our “top 3” categories and age groups. A FREE race t-shirt will be given to all registrants. 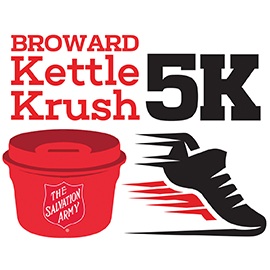 The Markham Park entry fee will be waived for all Kettle Krush 5K participants. Parking will also be FREE and available directly across from the Runner’s Pavilion area.